The lovely Heather asked to borrow some chevron pieces for a photo shoot in the Sunday Age... And this was the result last Sunday! Absolutely gorgeous! Oh my goodness, it just looks so inspired!! You must be so excited to be having so many pieces featured in the media these days!! Great pieces and great pic! I love chevron strips + it makes for a great graphic design. I still can't get enough chevron! Love that photo! Gorgeous! Those pillows are sooooo cozy!! I want to be there!! I love the vibrant colors and how they are piled on like it’s their job. What a great picture! Love it in all the vivid colors!! LOVE! 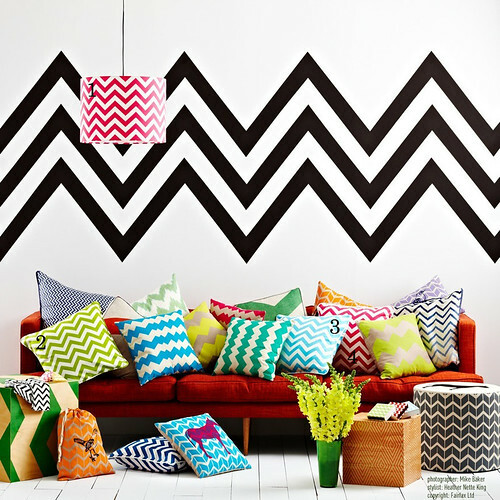 Great styling and of course we all love chevron! I Love, Love, Love colours. I love it! May chevron never go out of style! Love ths photo...what a fun shot! It is a wonderful burst of colors! I love the sky blue pillow and that wall decoration is so cool as well! What a pretty image! Love love love! What a lovely coup! 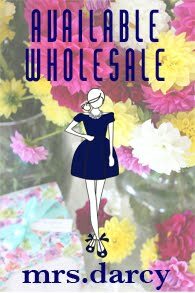 Congratulations, Kellie ~ it's a beautiful spread. Oh, boy, I am a bit addicted to chevron print. Hope it won't go out of style any time soon. This image is a beauty! That is a trend I've been learning to like more and more. Wow! Very cool! Have a wonderful evening, Kellie! Wishing you a wonderful day, Kellie! I just stumbled across your blog and I'm blown away by all the bright, happy beautiful design you're showcasing - that's for all the fodder for my inspiration file! These chevron pieces are so much fun! OMG. want/ need all those pillows! so lively! i needed some inspiration. thanks!